Each year, around 20 million people attend Accident and Emergency and half of them need an X-ray to check for a broken bone. As the strain on the NHS increases, more and more fractures are being missed. 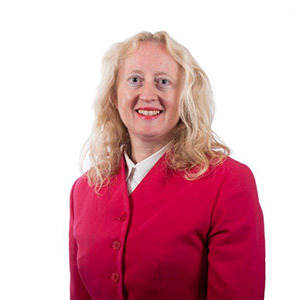 Partner at Birchall Blackburn Law Susan Liver, who specialises in Clinical Negligence, has noticed an increase in missed fractures. She said: “We are seeing more clients from all over the country whose fracture was missed when they first attended hospital. This can lead to the correct diagnosis being weeks after the original incident happened. Finding a fracture on an X-Ray is a difficult process. Sometimes, the fracture will not show up at all on a standard X-ray. Both skill and experience are crucial if certain types of breaks are to be spotted. This may lead to more fractures being missed. To combat the problem, some hospitals are getting all their X-rays reviewed by specialist radiographers. Even where a review does take place, it can take up to a month. This is often too long and the patient may still suffer complications as a result of the misdiagnosis. 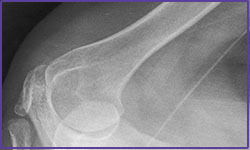 A hairline fracture occurs when the bone breaks but the fragments do not move. This can appear as a very light line on an X-ray. The most common place to break the wrist is in a tiny bone called the scaphoid. This bone may not be seen at all on an X-ray. The National Institute for Health and Care Excellence will soon be issuing further guidance on the treatment of scaphoid fractures. The recommendations are likely to be in line with those of the College of Emergency Medicine. Anyone with a suspected scaphoid fracture should undergo an MRI scan even if the X-ray is clear. Misdiagnosis can lead to on-going pain and discomfort. In the worst situations, an initially simple injury could lead to life-altering complications. If you have suffered a delay in the diagnosis of a fracture, you may be entitled to compensation. Our compassionate team of Clinical Negligence experts understand the worry and pain caused by medical mishaps. Please get in touch with us on 0800 614 722 or 0333 321 2192 from a mobile.